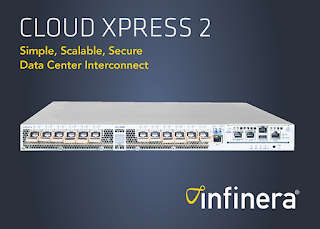 Infinera introduced its second generation Cloud Xpress platform for scalable 100 gigabit Ethernet (100GbE) data center interconnect (DCI) over multi-terabit optical links. The platform is aimed at connecting cloud data centers, which are rapidly migrating to 25 GbE server uplinks and 100 GbE fabrics between server racks. 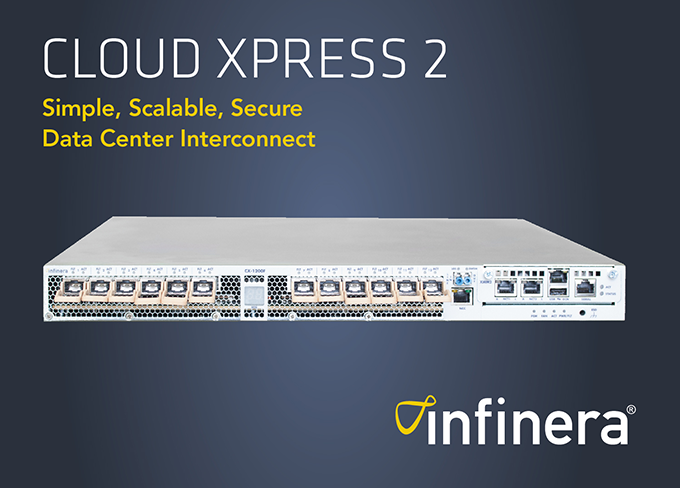 Infinera, which was first to market with a purpose-built compact DCI product in 2014, said its new Cloud Xpress 2 raises the bar by increasing density by 4.8 times while building on the Cloud Xpress Family’s advantages of simplicity, reliability and automation. Incorporates Infinera’s unique Instant Bandwidth product offering, a software-activated bandwidth delivery technology that provides a success-based business model while lowering operational costs. Low power consumption and built-in security with in-flight wire-speed data encryption. Plug-and-play with simplified provisioning and support for data center automation. Topology auto-discovery, zero-touch provisioning support, standard application programming interfaces for programmability and streaming telemetry. Infinera unveiled its Infinite Capacity Engine, a multi-terabit optical subsystem combining the company's next generation FlexCoherent Processor and the photonics of its fourth generation photonic integrated circuit (PIC). The Infinite Capacity Engine, which will be integrated into the Infinera portfolio of long-haul terrestrial, subsea, metro and data center interconnect platforms, breaks new ground for optical transport by being the first in the industry to deliver optical super-channel capacity up to 2.4 terabits per second and reach up to 12,000 kilometers in a single small package. 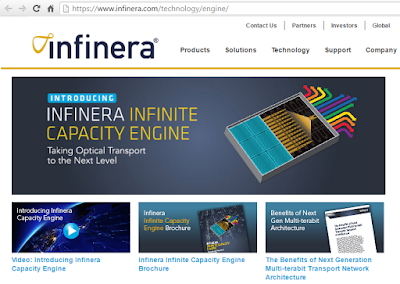 Infinera said its new Infinite Capacity Engine represents the next step function in WDM performance because of the capacity jump to 2.4 Tbps of optical bandwidth, combined with longer reach, better power efficiency and the integration of other advanced functions. Significantly, the Infinite Capacity Engine furthers the company's Instant Bandwidth capability, which enables pre-deployed bandwidth to be provisioned on-demand in 100 Gbps increments via software activation. New capabilities include 100G temporary licenses, enabling capacity to be deployed for a specific duration of time. Massive scale: supporting super-channels up to 2.4 Tbps from a single subsystem with up to 12 times more bandwidth than other implementations. Advanced Coherent Toolkit (ACT):delivers up to 60 percent more capacity-reach performance for submarine and terrestrial networks than the current generation of optical technologies by allowing extended reach and/or utilization of higher order modulation formats on a per channel or super-channel basis in challenging fiber environments. The Infinera ACT features Nyquist subcarriers, a new technology that increases tolerance for non-linear effects and SD-FEC gain sharing. In addition, multiple modulation formats are supported including matrix enhanced - phase shift keying (ME-PSK), BPSK, 3QAM, QPSK, 8QAM and 16QAM. Sliceable super-channels: provides the unique ability to deliver 2.4 Tbps of capacity in a single module with a single fiber pair. In addition, it provides fine-grained and flexible control of optical wavelengths at 100 Gb/s. The Infinite Capacity Engine can tune and route a 100 Gbps wavelength or N x 100 Gbps super-channels in multiple separate directions with any specified flexible grid coherent modulation across the extended C-Band. As a result, network line-card module requirements can be reduced up to 77 percent while delivering tremendous flexibility. Moreover, total cost of ownership can be reduced by up to 53 percent as compared to non-sliceable implementations. In-flight wire-speed encryption: encrypts traffic transparently at Layer 1 on a per service basis or in the bulk mode per super-channel, using the strong 256-bit Advanced Encryption Standard (AES) key. The Infinite Capacity Engine is integrated with easy-to-use key exchange and cryptography mechanisms, providing wire-rate multi-terabit processing with more capacity than current industry solutions. 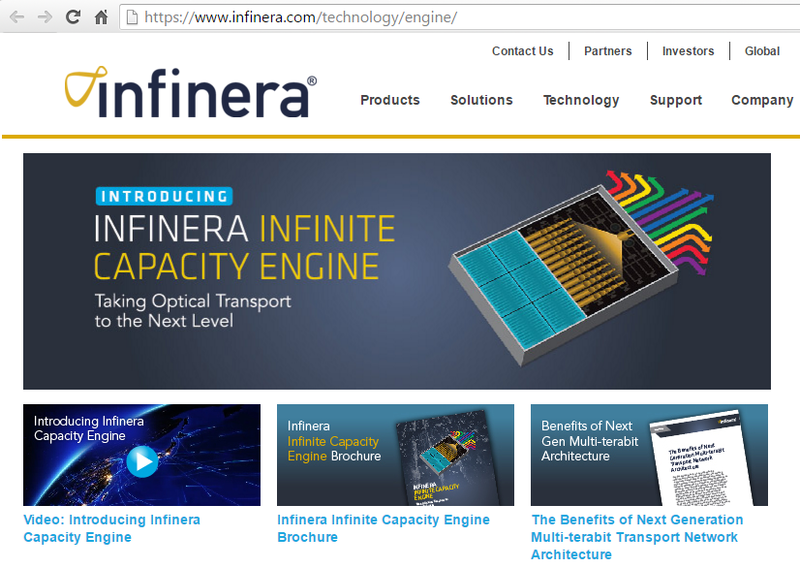 "The Infinera Infinite Capacity Engine ushers in a new era in optical transport networking and is the foundation for network operators to rapidly respond to massive bandwidth demands," said Dr. Dave Welch, Infinera Co-founder and President. The OpenDaylight Project announced its fifth open SDN release: OpenDaylight Boron, featuring significant enhancements to Cloud and NFV use-case capabilities, as well as to performance and tooling to simplify management of a range of use cases. As deployments grow in scale and sophistication, end-users are increasingly looking to integrate OpenDaylight more deeply into their core architectural frameworks. One example of cross-industry collaborations is the Atrium Enterprise project which was led by the Open Networking Foundation with participation from Criterion Networks, WIPRO and Microsoft. 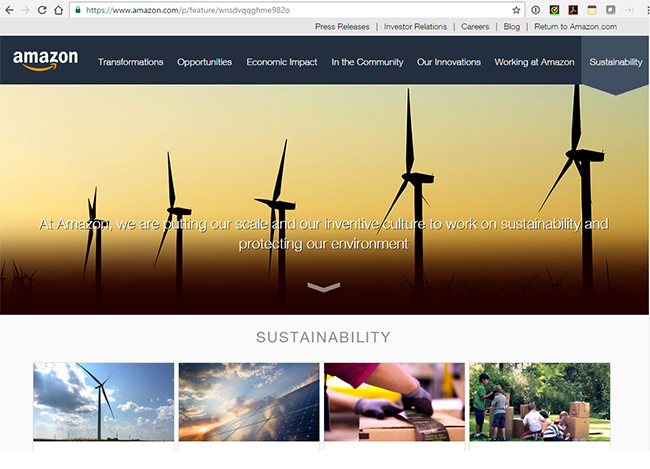 Another example is ECOMP, from AT&T, an infrastructure delivery platform and scalable, comprehensive network cloud service for a software-centric network. OpenStack-related capabilities have been re-architected within a unified development framework for better scalability and performance, including clustering, High Availability (HA), and persistence. Southbound enhancements for VNFs include OpenFlow and NETCONF optimization, as well as hardware VTEP support, and DPDK enhancements. The NetVirt project brings new focus to features and performance to OpenStack environments. These include improved coordination between OpenStack Neutron and the controller, as well as enhanced support for IPv6, Security Groups (via OpenFlow configuration), VLANs and other important capabilities. 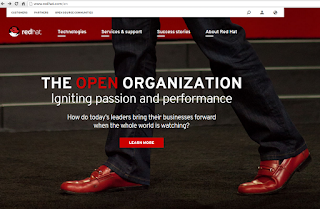 The new architecture enables the ability to grow beyond OpenStack integration by allowing control from other orchestration systems and applications. The OPNFV project has driven a broad set of Telco requirements and new functionality in OpenDaylight. As Service Function Chaining has become a key required capability of NFV deployments, collaboration between ODL and OPNFV SFC-focused projects have led to a number of key improvements including Proof of Transit validating service chain packet-flow, enhancements to support FD.io Service Chain Identification and support for the latest OVS release. The Genius project, a community-wide effort, provides an app-agnostic framework for application composition. This supports the deployment of modular distributed applications as well as Service Function Chaining (SFC). First introduced as a “proof of concept” project in Beryllium, Genius is now application-agnostic and can be used to operate production cloud networks. New clustering features in Boron simplify HA management for non-distributed network applications, make it easier for developers to write applications without needing to understand the underlying architecture. Controller health is easier to monitor with the Cardinal project, which provides controller health data as a service. Time Series Data Repository (TSDR) and the Centinel project enable Big Data Analytics for streaming data. 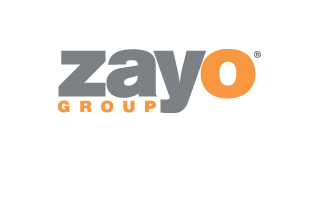 A global content delivery network (CDN) provider has selected Zayofor a wavelengths solution to support a large portion of its backbone traffic across North America and Europe. The customer name was not disclosed. Under the multi-year contract, the customer has purchased 20 point-to-point 10G wavelengths throughout the U.S., Canada and western Europe. The solution provides high-performance capacity and connectivity to many large internet peering locations to meet the customer’s increasing demands for bandwidth. 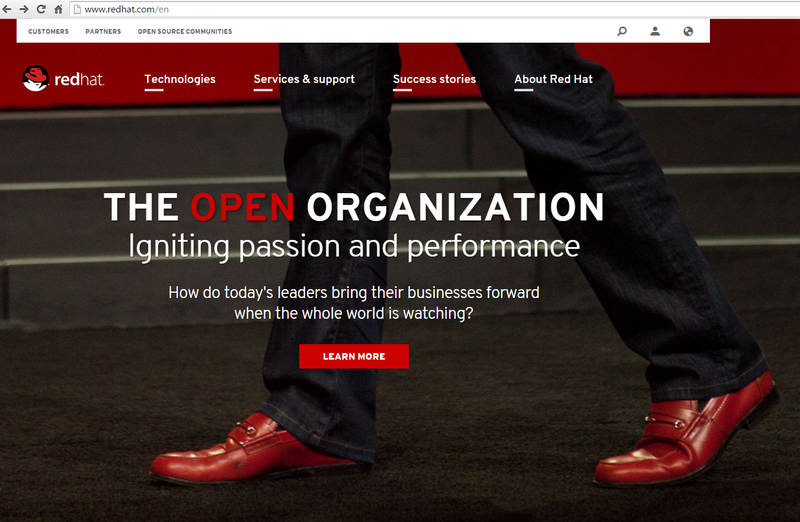 Red Hat reported total revenue of $600 million for its second quarter of fiscal year 2017 ended August 31, 2016, up 19% in U.S. dollars year-over-year, or 18% measured in constant currency. Subscription Revenue Breakout: Subscription revenue from Infrastructure-related offerings for the quarter was $427 million, an increase of 18% in U.S. dollars year-over-year and 17% measured in constant currency. Subscription revenue from Application development-related and other emerging technologies offerings for the quarter was $104 million, an increase of 33% in U.S. dollars year-over-year and 32% measured in constant currency. Centec Networks, a developer of Ethernet switching silicon and SDN white box solutions, announced $47 million in Series E funding led by China Integrated Circuit Industry Investment Fund (CICF), a national fund established to help develop IC technology companies in China. Centec, which was founded in 2005 and is based in Suzhou, China, said it is pursuing an open-networking strategy. The company has developed and released multiple product generations including switch silicon for 1GE10GE, 40GE and 100GE applications, with OCP’s Switch Abstraction Interface (SAI) to ease the integration into both commercial and open source Network Operating System(NOS). Centec has a history of success delivering productized switch platform based on either a commercial or open source NOS for global vendors to integrate and customize for SDN and Open Networking applications. The company has raised $30 million in previous funding rounds, developed four generations of switching silicon, and has achieved double-digit quarterly growth for the past 3 years. 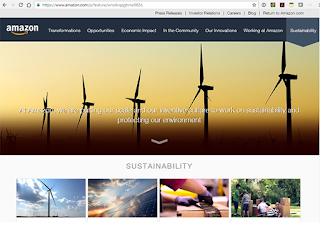 Proceeds from its Series E funding round will be used to develop new products and to scale the company’s sales and marketing operations across the globe, especially North America. CICF is joined in the round by existing investor China Electronics Corporation (CEC) through its China Electronics Innovations Fund, which led the company’s prior funding round. 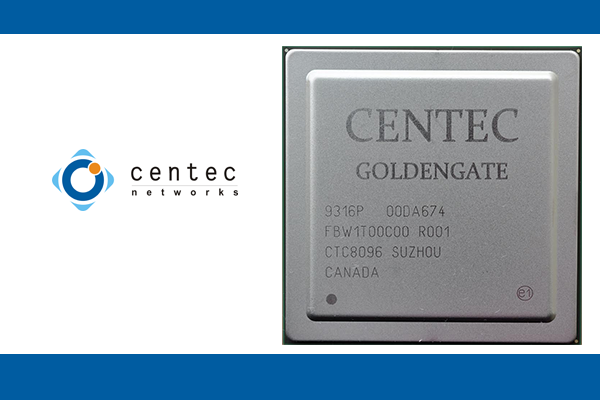 Centec Networks announced its fourth-generation GoldenGate switch silicon, a 1.2 Tbps chip designed to address SDN and virtualization in 10GE, 40GE and 100GE networks by increasing visibility in the forwarding plane. The company said it was able to incorporate a number of unique features to solve SDN challenges for elephant flow detection, flow completion time, and flow visibility and control, while also supporting network virtualization with diverse overlay technology including the latest GENEVE protocol. The main focus of the MulteFire Alliance is to ensure that next-generation LTE mobile standards are compatible with shared and unlicensed spectrum. This compatibility ensures that the next generation technology is more widely available and that it can coexist alongside Wi-Fi and other technologies. What also makes this technology unique is that operators without access to the licensed spectrum still will be able to use it, breaking down barriers to entry and opening the door to greater innovation. “This step will arm the cable industry with a new wireless technology that builds on our success in providing Wi-Fi and mobile services and complements the industry’s fixed broadband technology leadership,” said Ralph Brown, CTO of CableLabs. Currently, the MulteFire Alliance is working to adapt 3GPP-based mobile wireless standards for shared and unlicensed spectrum so that the technology is broadly available and fairly coexists with Wi-Fi and other technologies. MulteFire is based on 3GPP Release 13 License Assisted Access LTE (LAA) and Release 14 enhanced LAA (eLAA), which uses Listen-Before-Talk (LBT) etiquette to share spectrum in a manner similar to Wi-Fi. Unlike LAA, however, which is anchored to licensed spectrum and must be used in conjunction with a mobile network, MulteFire will operate entirely in unlicensed or shared spectrum, so that operators without licensed mobile spectrum can utilize it. This “standalone” functionality has been proposed in the 3GPP standards body for both LTE and 5G. By building this capability in the Alliance, its member companies will enable its adoption in global standards and the corresponding broad benefit of wireless innovation.